Everest Kitchens www.everest.co.uk Review | Everes Kitchens are rubbish! I bought an Everest kitchen some 5 years ago. The time of fitting was more traumatic and stressful than anything I had experienced before. The service was appalling, the workmanship worse. They arrived to fit a week and a half after I expected them leaving the entire contents of the new kitchen in my living room. Took them 3 weeks to complete. I complained during it to no avail. Their website promises were meaningless. There was no project leadership or supervision on the contracted fitter. They took the money and did nothing. The cooker did not work but I had to say that the German company was very efficient in coming to repair it; that is after jumping through hoops with Everest. 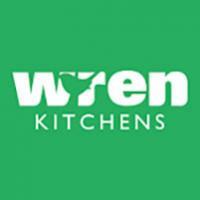 My mother had her much bigger kitchen fitted the year after mine: supplied and fitted by Wickes. Arrived on time; had everyhting she asked for; same quality units and cost her less than half the price of mine. Some five years later and I still haven't escaped the demons. A plumber came to fix the washing machine. The fittings had come loose. Normal wear and tear you might think. Oooh no... the pipes were not fixed to the wall -they had not been tighten properly. Not to mention the state behind the units -holes mess. Removing the washing machine was a mission because of the way it had been fixed!! My advice don't believe the retoric. Don't beleive the promises of high quality and standards - they are non existant. Yes my kitchen looks nice and for that I am very happy but it came at too high a financial cost -for which I am still paying. In actual fact it is no better then your standard high street kitchen. If you think you would like to go to Everest for your kitchen think again and consider a cheaper option. i had the same as you, but my company was called modern kitchen who belonged to everest they have now gone out of business and i can not find any think about them.. they made me take ppi and i want it back any can any one help. You should write to Company House if they still haven't gone into liquidation and ask that the company remains solvent, on paper at leat, unitil you can resolve it, just keep at Everest who you probably will find are the parent company and have taken on Modern Kitchens liabilities in order for that company to dissolve.